Ahhh! Guys, you know I've been excited about what Magnetic Press are doing (translating great comics into English) since they announced their formation, but they sent me over copies of both Zaya and Meka, and I had to take some photos to share how lovely they are: it's fantastic to see they've not scrimped on production- these are gorgeous, high-quality books. I'm always banging on about how little details and touches can elevate a book- just doing something a tiny bit different- and Magnetic have given both books sturdy, rounded corners- the title and author names here are spot-laminated, and perhaps most importantly, the books have sewn binding, as you might be able to tell from that defined spine below. The image on the below right is one of my favourites from the book since I've been aware of it: something compelling about that giant fist framed by the shards of blue shadow with the ridiculously small figures, and I'm glad it gets to serve as an opening statement. A couple of images of interior spreads- you may recall I was raving about the art in Meka, and having read it, I can safely say Bengal's out-done himself, particularly with the colours, as is evident even from these pictures- I've not brightened or lightened anything. It's utterly sublime. 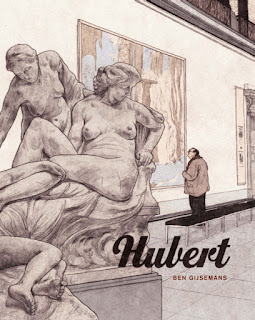 The story really took me by surprise as well- in a good way, I hasten to add- with the title and the plot overview it's easy to be blind-sided, but it's a meatier story than I expected, about war and ideals (review to follow over at Comics Alliance soon, if you're interested). It's restored my faith in Morvan after somewhat, after Naja disintegrated in the final third of the book. Zaya is 216 pages to Meka's 96, and the bigger book, so it comes in a slipcase: the hole in the nib of the Magnetic Press logo, through which you can make out the partial of a woman's face is a cut-out in the case- the face is the cover of the actual book (see below right). I like the way they've incorporated the logo onto the case- subtle, and the colour-way is nicely understated. There's also an embossed gold foil seal in the bottom left corner of the slipcase, again with the nib logo and 'premium' stamped on it. The slipcase is a really thick, solid cardboard, strong and hard-wearing, and the cover of the book itself again has those rounded corners, as well as a purple cloth ribbon bookmark. Strong, intriguing cover image- the stark white background with the coloured mechanical components infusing toegther on the woman's head. The book comes with a numbered print. I didn't take picture of Meka's end-papers, but both books are papered with sketch versions of covers, pin-ups, and interior art- another touch that hits the right note- nothing overt or flashy, complementing the book rather than distracting -or detracting!- from it. *Big thanks to Mike at Magnetic Press for sending these my way.